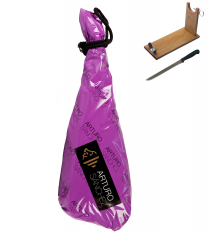 This grain-fed iberico ham invites you to take just one more slice to continue enjoying its soft and harmonious taste. 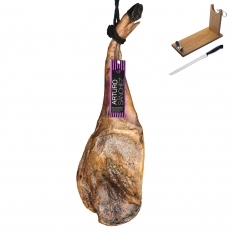 It's a ham made from pigs over 12 months old and more than 50% iberico, fattened in pastures on natural farm products. 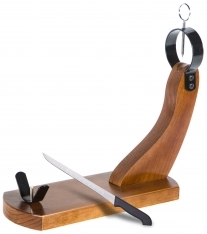 The meat is hung for more than 30 months in barns and natural wineries for curing. In Spanish, this product is known as, "Jamón ibérico de cebo Arturo Sánchez loncheado." 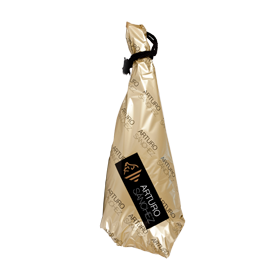 Format : This grain-fed iberico ham comes vacuum-packed in easy-open packaging, with separators between the slices for convenience. 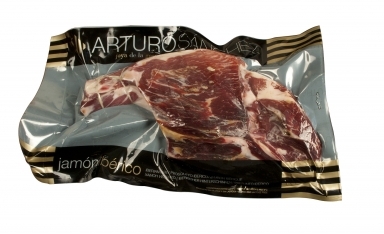 Storage : This grain-fed iberico ham should be stored in your refrigerator at between 0°C and 6°C.